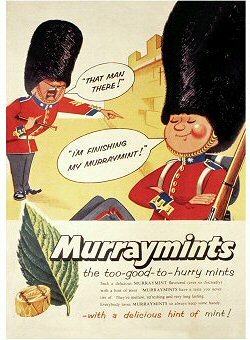 Post Card Murray Mints - Stock Code: 01ST05. Postcard in the Robert Opie Collection card range. 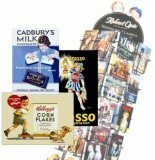 Our nostalgic postcard range now numbers over 300 cards, providing an unparalleled view of British consumer history. That is why they are considered by many to be collector's items. The Robert Opie Collection is the world's largest collection of British advertising images, providing a fascinating insight into the British way of life over the last 130 years. We stock a large range of beautiful products inspired by the Robert Opie Collection, the world's largest collection of British advertising images, providing a fascinating insight into the British way of life over the last 130 years. We generally dispatch sameday if you order before 12 noon. When you input your address details, you can also add special delivery instructions. In any case, we email you dispatch confirmation including your tracking details if available, so you will know when delivery will be attempted.